While folks around the country have had more snow and wintery weather than ever and are weary of it, we in the Silver Valley of northern Idaho have had little. So, my friend Sally and I drive up the road – literally to higher elevation – and then hike up the Pulaski Trail – we don’t go far enough to really call it a hike, even though it is a hiking trail – to even higher elevation…. 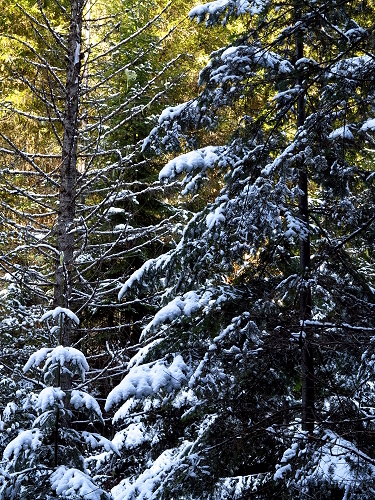 and revel in the beauty of winter. 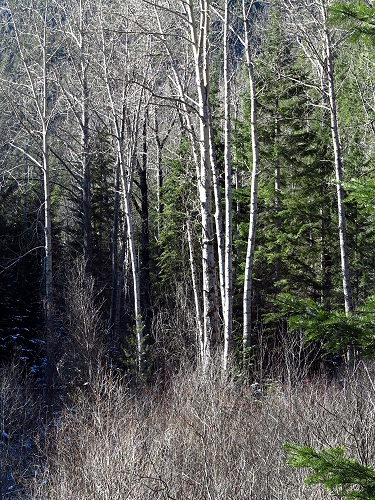 It was 15 degrees this morning, but blue sky above and and sunny where the sun’s rays reach into the valley. The first part of the trail is in the sunlight, but we are soon walking in shade and snow on the trail. 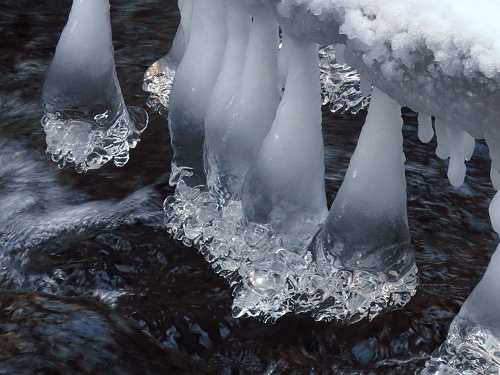 Hiking along Placer Creek, we see some very enchanting ice formations. 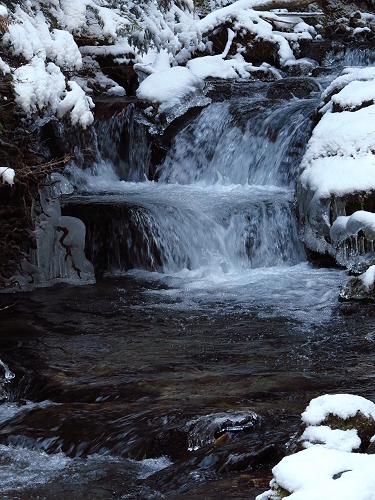 Photography is a bit tricky with the low light and high contrast between snow and the almost-black water of the creek. In spite of that, it is a delight to be here. 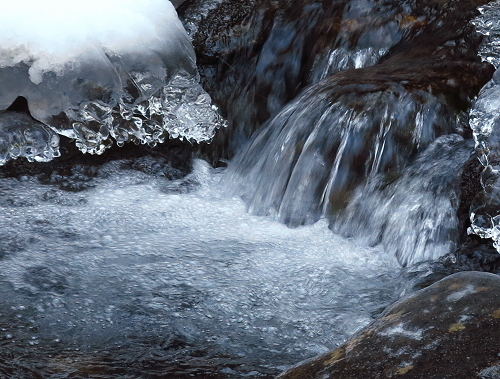 At the half-mile mark is my favorite waterfall, a fairlyland all mossy and green in the summer, but in the chill of the last days of winter, it is enchanting in quite a different way. We both would have like to have gone further, but Sally is in the process of moving and I am packing for our first road trip since last fall. So, we turn back and soon see sunshine before us, beyond the grasp of the cold and winter-wonderland that we have briefly enjoyed. I hear there is a lot of snow in Boston and now Kentucky! But maybe not the mountains to go with it….. ah, well. Let’s hope we get enough rain to keep the forest fires from eating us alive. We drove through eastern Washington on our way home from British Columbia last September; it looked very dry there already. Fantastic pictures. Would never be able to take these around London where rivers are brown and temperature remains below 0 degrees :/. Thanks for your comment. I hope to take more time to look at your blogs and learn about places I’ve never been. I have been most fortunate to have been to many beautiful places in the western US with blogs and photos on the more recent journeys and walkabouts. We will be leaving on a two-month trip next week and I’ll be adding new blogs soon.